Rose and jasmine: seduction and beauty. Herbs: cuisine and healing. Myrrh: the Orient and the sacred. Ambergris: the sea. Venezia Giardini Segreti (Venice Secret Gardens), the first of AbdesSalaam Attar’s tributes to Italian cities, springs from the vivid, romantic world imagined by the Venetian Hugo Pratt in one of his graphic novels about the gentleman sailor Corto Maltese, The Fable of Venice (to read it in Italian, click here). AbdesSalaam Attar hails from that alternate universe. A Frenchman by birth and a traveler, he has undertaken the journey of fragrance backward, eastward, toward the origin and the Orient, via Italy. His Venezia Giardini Segreti does not attempt the dazzling technical feats of contemporary, French-trained perfumers but – I’ve written this before about his work – it nevertheless springs from an age-old culture of scent. The ingredients he brings together are harmonious from a purely olfactory point of view: they have been for centuries. But of course, they are also deeply symbolic, and thus tug at memories older than the beholder’s. Here, rose and jasmine are both seductive and mystical. The herbs that tinge them with green and aromatic notes hint at an even richer bouquet – there is a tuberose effect – the petals vivid against sap-filled leaves and sprigs. Myrrh is not only a symbol of the oriental resins imported through Venice, but the substance of tears. The gift of Mary Magdalene, the myrrh-bearer, the Weeper. Sweating in a too warm bed. It may be a stretch to link a mystical Baroque English poet to a French Sufi perfumer based in Italy, but then when you follow Corto Maltese into a secret Venetian garden you’re apt to end up anywhere. Elsewhere in the poem, Crashaw speaks of “the balsam-sweating bough” and its “med’cinable teares” – myrrh --, and of “the gentle stream/ Where th'milky rivers creep”. So: rose, myrrh, milk. And there we join AbdesSalaam again, since the secret ingredient of his Venezia Giardini Segreti is ambergris, which he describes as “a scent of leather, of sea and of mother’s milk.” I’ve only smelled ambergris tincture twice, and couldn’t truly pretend to recognize it: perhaps the “sea” and “mother’s milk” are what give Venezia Giardini Segreti the eerie, “I’ve been there before” sensation I experienced when I applied it. Like Venice, perfume is nothing if not a labyrinth. For instance, in the sole church dedicated to the Maddalena in Venice: on its façade, a Masonic symbol: the all-seeing eye of God (or Wisdom). Corto’s adventures in Venice begin with his falling into a Masonic temple through a glass roof. 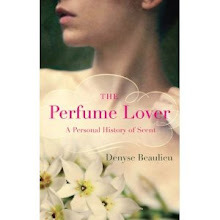 This is the loveliest post about fragrance and perfumery that I have read in a long long time. Thank you! That alternate universe sounds so tempting - I love fragrance but couldn't care less about the fashion industry and the luxury-must-have connotations. Furthermore I find it absolutely fabulous that Corto Maltese provided inspiration for a perfume. I wander if that has happened to any graphic novel hero before? What a great review. Is real ambergris making a comeback ? There is a dollop of it in the new Ormonde Jayne Nawab of Oudh and Roja Dove's recent Danger Pour Homme Parfum and now this. Venezia Giardini Segreti sounds incredible, i can't wait to try it. 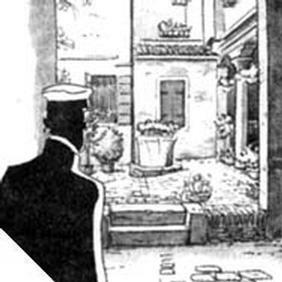 I am a die-hard fan of Corto Maltese stories - Fable de venise being one of my favorites. Of course: I am also obsessed with the city itself. I make sure to visit at least once a year. For the fans, there is a corto Maltese guide to venice: it's fun, and makes you aware of the many secret symbols (hidden or in plain sight) scattered around this magical lagunar city. Anyway, I am curious about Venezia Giardini Segreti... though I wish it was easier to sample the line! This is a fantastic post, Denyse. I have to try this scent now. Many people are mystified about why I love perfume so much; it's not what a typical straight man usually gets excited about. 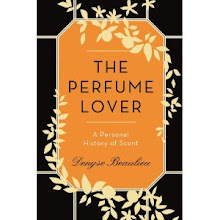 But you nail it with this - that secret vibe, the way a great perfume connects you to the mystical and to history. It's the main reason I get into it so much; how scent elevates and connects you to a much wider world. Beautifully done here, I'm ordering a sample of this today and will check back with you about it. Maria, thank you. Any fragrance that references Corto Maltese would be sure to get my attention, though I actually experienced Venezia before I read up on it on the Profumo Italia site. No idea whether other graphic novel heroes inspired perfumes -- I think you could do an entire collection with Corto's adventures though! Zazie, yes, I know the book, Corto Sconto. I actually had a long discussion about all of this with Paolo Conte... in another life! I think you and Stefush and Corto are right. Perfume (or incense) has always been used by humans to communicate with each other, with the gods and with our deeper selves, and for healing. I feel that AbdesSalaam Attar perfumery is a meditation on and practical application of that ancient heritage - he also has a Scents of the Soul series, too, you know, as well as healing perfumes. Nozknoz, yes, hyraceum (or African stone) has long been used in vernacular medicine. I don't know about its calming effects on people, but my cat got totally drugged out on it! I haven't tried any of his perfumes - it's a rabbit hole I fear going down because SO many of them sound like something I'd adore, and his whole approach to fragrance seems to be one that would really work for me. But I would really like to give this a sniff. It sounds amazing. Amy, it's really worth investing in a discovery set... of course, there's always a risk, isn't there? A gardened laybyrinth; I am there. Here is someone who could write your essay - https://canada.papercoach.net/ . Can’t find a reliable service to order your paper from. Check our https://scamfighter.net/review/homeworkmarket.com on Scamfighter. Only real reviews based on personal experience and clients’ experience.